Queenbreaker is a new exotic weapon in Destiny 2. It was added in the Forsaken expansion, but older players might remember it from the first game. Back then, it was called Queenbreaker’s Bow, but it’s pretty much the same weapon. It’s a linear fusion rifle with nice stats and interesting perks. If you’re interested in seeing how it works, or how you can get it yourself, keep reading our Destiny 2 Queenbreaker exotic weapon guide. If you’re looking for help with the Spider bounty in Trostland, check out our Wanted: Queenbreaker bounty guide. If you want to get a Queenbreaker yourself, you’ll have to grind for it. Gone are the days of exotic quests. Now, almost every exotic in the game is obtained randomly. You’ll just have to repeat the same set of activities until the Traveler smiles upon you and grants you the linear fusion rifle you desire so much. Since heroic public events have been severely nerfed with the release of Forsaken, your choices are even more limited than before. You’ll need to get your hands on some exotic engrams. This means engaging in end-game activities like Nightfall, mostly. Or you could just roam around doing random stuff, hoping you get extra lucky. Several players have reported getting the rifle from the gunsmith, too. Now you finally have a reason to spend all those thousands upon thousands of weapon parts. 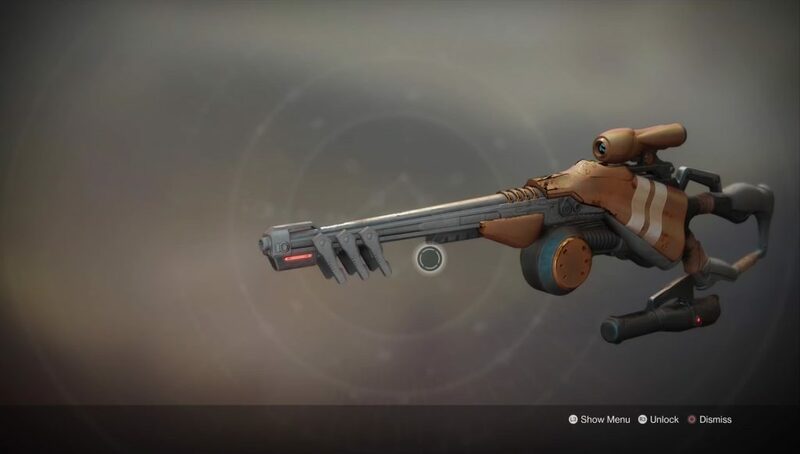 The Queenbreaker has the Wire Rifle innate perk, which allows it to blind enemies on hit. It also comes with two scopes – one long range, with a slower charge time and more damage, the other with a shorter range, but better charge time and handling. It also has increased magazine size, as well as hip fire accuracy and stability. It can also be drawn much faster than a normal weapon. Not true I got it from gambit. I got the Queens breaker from the shattered throne quest in the dreaming city. I just got mine from a random strike. Idk know how I got mine one day I got on and it was just sitting in my heavy slot. Got mine just now while grinding for the whisper.